Machine screw with countersunk hexagon head and fittings manufactured from 316 marine grade stainless steel (A4-AISI). 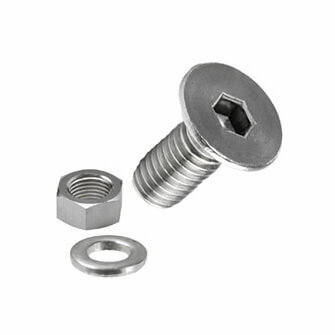 Flush fitting countersunk screw for secure fixing with Allen key. First class produce.Very good service.